The New Year is coming and with that usually means some changes to our lives, whether it’s a resolution to eat less meat, get a new job, or decorate a room, there’s usually something that we’re working towards come January. If you want to give your home a new look, but you know your budget is going to be a little tight after Christmas, these simple tricks can help you to revamp the space with small changes that won’t break the bank. Make the woodwork in your home a bold statement against light and neutral shades with a dark colour to contrast. This helps to give the whole room a new dimension. Make sure you buy paint specifically for wood, and remember to sand it down before you go in with a new colour on top. You can not only change the colour or style of the room, but change the size of it too. Large rugs look extremely glamorous in a room, especially when they’re contrasted with the floor underneath, such as a lighter rug on dark flooring. This works perfectly in the kitchen, but can also make a big difference to drawers you might have on cabinets around the house, or in the bedroom. But changing the handles on drawers can give them a whole new look. This doesn’t have to be changing the colour of the walls, if you don’t want to, but assess the colours in your room and you could add a new one to the mix to give the room a new dimension. Rich jewel tones are going to be a big interior trend in 2019, so jump on that early and add one into a neutral filled space, it could just be the addition of some new accessories like a candle holder, or some scatter cushions. Whether it’s a ceiling light or a new lamp, changing the lighting fixtures in the room can have a big impact. If you get one with multiple bulbs you can add more brightness to your rooms. 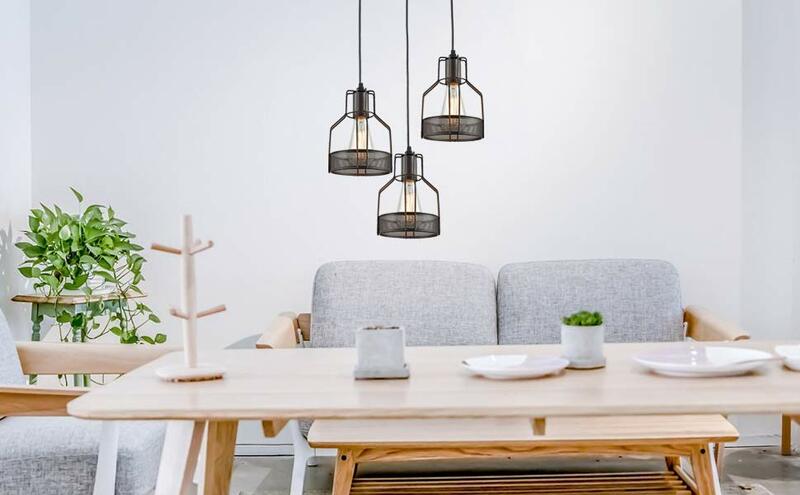 Or make a statement with a big pendant light in the kitchen or dining room. Light Supplier has some stunning options to really make the lighting in your room a big design feature. Set your budget for what you have to spend, and invest it in one standout, statement piece for the room. Whether it’s an indulgent new throw, an eye-catching side table or a new lamp – if you find something that you truly love you’ll be happy to spend all of your budget on that because it’ll bring you so much joy every time you see it.